Let’s face it. Unless you have somehow fast-forwarded through puberty in an air tight hazmat suit, your skin is probably a little bit less then flawless. IT is a sad reality of life that no matter how much caution you proceed with in your day-to-day activities, your skin will experience some kind of damage over time. However, no matter what your skin has been through or what type of skin you have what follows below will explain what all natural oil’s you need to use to help recover the vibrant beauty of your skin. Argon oil is indigenous to the country of Morocco, made from the local argan tree; argon oil actually comes in two forms. There is the culinary version of the oil which has an almost hazelnut after taste with loads of health benefits including: lowering of cholesterol, improving circulation, and strengthening the body’s immune system. The second type of argon oil is known for its cosmetic health benefits. When applied topically to the skin the cosmetic argon oil is known for alleviating eczema, healing scares, and most interestingly it protect against and heal skin infections. Argon oil is loaded with vitamin E, which when combined with its anti-inflammatory properties makes it an excellent skin care product for individuals trying to get rid of minor scars. Similar to argon oil, coconut can have powerful health effects on your skin and can also be used as a cooking oil with many health benefits. 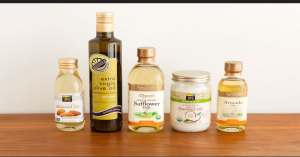 Coconut oils health benefits for the skin are extensive to say the least. By far coconut oil is the most versatile natural skin care oil. Coconut oil can be used to moisturize the skin, and as an antibacterial, It can also help keep your skin clean in the process. Coconut oil can also be used as a shaving cream, as It is a naturally antimicrobial substance. Coconut oil works well with dry skin. Made from the seeds of a shrub native to the Sonoran Desert, Jojoba oil is an extra strength oil that protects your skin by locking in moisture. Its ability to retain moisture helps to alleviate red irritated skin. This oil is best for dry complexions and works well with skin experiencing underactive sebum gland production. Made from the kernels of the marula fruit, marula oil is making a name for itself in the health world for its powerful moisturizer and antibacterial properties. Indigenous to Kenya the oil has been used for centuries by local Kenyan woman as a means of protecting their skin from the harsh effects of the beaming African sun. This oil is excellent for moisturizing and protecting skin from sun damage. Pomegranate oil is a natural antioxidant that is ideal for aged and wrinkling skin not only does it hydrate the skin and buff out wrinkled skin it is also not likely to seep into pores making it ideal for individuals who suffer from acnes as well. Using this guide you should be able to now choose an oil to add to your skin care regimen for best results.